Posted February 20, 2019 by Irina Dunn & filed under Arts & Entertainment, Comedy, Theatre & Performance. 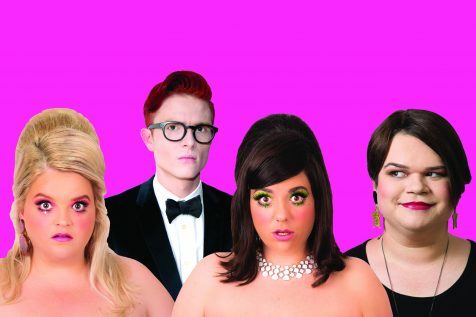 Darlinghurst Theatre Company Creative Producer, Amy Harris, has curated the company’s first Queer Comedy Festival, titled Comedy Kiki, for Mardi Gras! All three acts are new shows by exciting Australian queer comedians Jordan Raskopoulos, Fat Musicals by Maeve Marsden and Libby Wood, and Rhys Nicholson. Each artist will be playing for one night only. Granny Bingo will be served with a delicious high tea in the restaurant for audience members to enjoy before the main stage comedy act commences upstairs in the theatre. It will be hosted by Australia’s favourite nannas and Melbourne Comedy Fest winners, Edith Vale and Maureen McGillicuddy (Kyle Minall and Thomas Jasper), who come fresh from their sell-out performances in Melbourne. Edith and Maureen say they are thrilled to share the joy of bingo with Sydney for Mardi Gras!